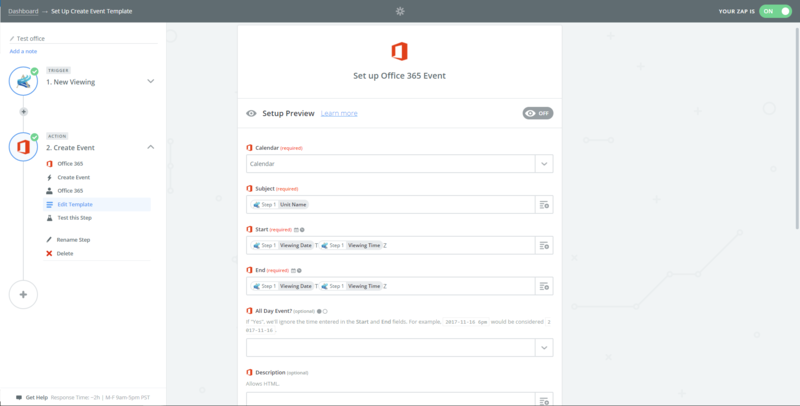 Whilst Outlook is not on Zapier, Office365 is. An Outlook account is also an Office365 account, therefore use Office365 to link Arthur and Outlook. You can send information about viewings, tasks and occupancy from Arthur to your Outlook/Office365 Calendar. However, if not set up correctly, the event will enter in at the time of creation not the time due.